Researchers at Poriya Medical Center started the study into thrombophilia and ovarian response with 89 women seeking IVF-EF treatment. After the treatment, the women were placed in two groups. 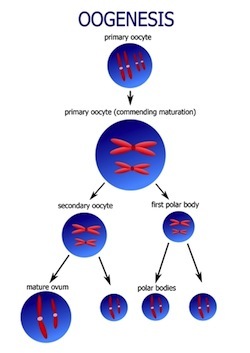 The first group produced less than three oocytes. This was the test group. The second group produced in excess of four oocytes. This was the control group. Prior to the IVF-ET cycle, all women were tested for thrombophilia and testing to realize ovarian reserve. The results of the study suggests that thrombophilia does not play a part in low ovarian response. All test results between the two groups were comparable, even when Pearson correlation tests and logistic regression models were used. Conclusion: There does not appear to be a statistically significant impact of thrombophilia on ovarian response or ART outcome. Researchers did note that the impact of premature ovarian reserve may or may not have an effect on thrombophilia. Source: Younis JS, Ben-Ami M, Izhaki I, Jadaon J, Brenner B, Sarig G. The association between poor ovarian response and thrombophilia in assisted reproduction. Eur J Obstet Gynecol Reprod Biol. 2012 Oct 13. pii: S0301-2115(12)00438-1. doi: 10.1016/j.ejogrb.2012.09.015.